In The Poetry of Saying Robert Sheppard explores an array of ‘experimental’ writers and styles of writing many of which have never secured a large audience in Britain, but which are often fascinatingly innovative. As a published poet in this tradition, Sheppard provides a detailed and thought provoking account of the development of the British poetry movement from the 1950s. 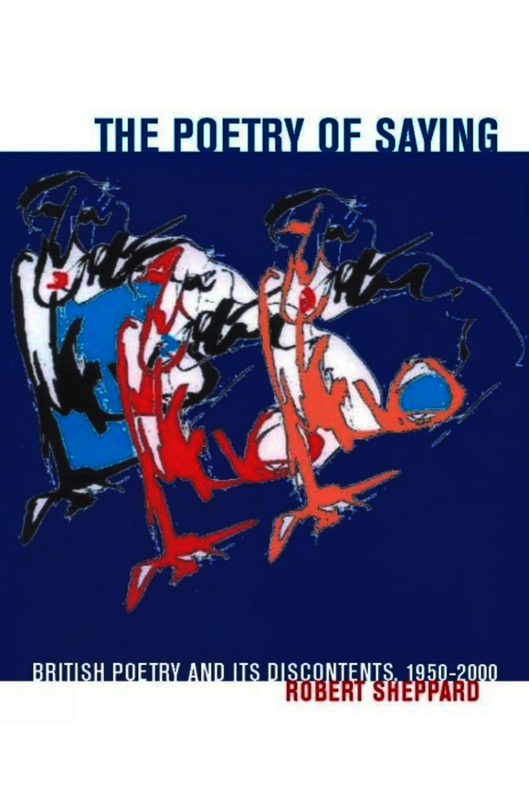 As well as analysing the work of individual poets such as Roy Fisher, Lee Harwood and Tom Raworth The Poetry of Saying also examines the influence of the Poetry Society and poetry magazines on the evolution of British poetry throughout this period. The overriding virtue of the poetry of this period is its diversity, a fact that Sheppard has not ignored. As well as providing a fascinating into the work of these poets, The Poetry of Saying offers an ‘insider’s’ commentary on the social, political and historical background during this exciting period in British poetry. Robert Sheppard is Senior Lecturer in Writing Studies and English at Edge Hill University, Liverpool. He is also a published poet, previous collections include Daylight Robbery (Srtide, 1990), Killing Boxes (Ship of Fools, 1992) and Empty Diaries (Stride, 1998).